We will run your business campaigns on your social media like Facebook Page, Facebook group, Twitter, Instagram. We will do daily 1 Post on your company behalf. This will increase your company social media presence. Social media has completely changed the way consumers and businesses alike are using the Internet. Media users not only believe a company should have a presence but that they should also interact with its consumers via social media. Submerge your target audience in your brand and reach out to potential customers with a custom our designed Facebook fan page. A Facebook Fan Page is a feature which has proved to be substantial for marketers and online firms in order to communicate, interact and share with their fans. A Fan Page is extremely effective as it is a medium of communication between your company and its consumers, essentially all marketers require target and niche oriented activity & a fan page supplies just this. Facebook Page: Pages are for organizations, businesses, celebrities, and bands to broadcast great information to fans in an official, public manner. Profile/User Account: A Facebook profile is intended to represent an individual person to connect with their friends and share information about their interests. Administrator: A page administrator, or admin, controls the content and settings of a group and must administer the page via a personal profile. Applications: A set of Facebook or third-party developed applications that can be added to a profile or page to increase engagement and enhance content. News Feed: Top News aggregates the most interesting content that your friends are posting, while the Most Recent filter shows you all the actions your friends are making in real-time. Wall: The Wall is a central location for recent information posted by you and about you. 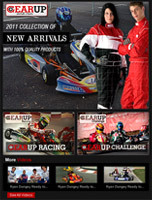 It’s where you keep your up-to-date content, and where Fans can contribute. Publisher: The Publisher lets you share content on Facebook and is located at the top of both your home page and on your profile. How Facebook Page helps to promote business? Your Facebook Fan Page must have the following things to stand out in crowd. Having a Facebook Fan Page designed for your business is just not enough, a profile image is essential to establish company image on Facebook. The profile image can highlight the company logo along with company products or services and other relevant information of the company. 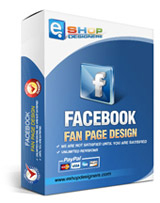 We create customized fan pages in facebook for you that will stand out from others for your visitors. 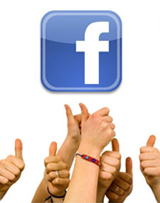 A customized facebook fan page helps in interacting with target audience. FBML stands for facebook markup language which is similar to HTML (hyper text markup language). FBML is an application through which we can design personalized facebook fan pages for your business. Custom tabs and boxes can be added to the Facebook pages. One of the most important benefits of having a facebook page is that the viewer doesn’t need to be a member of Facebook. If the person interested in products or services is not a member of Facebook, they can still view Facebook Fan page and explore all the information regarding the company, explore product/ services, send inquiry form etc. Having a Facebook Fan Page designed for your business is just not enough with the changing trends of social media websites. Your Facebook Fan Page should be designed in a right way using latest technologies using its business interest and maintaining quality and standard. Development team at UKWebLab is constantly keeps a watch on the changing trends of Facebook and so our Facebook Fan Page designers are able to design attractive and professional Facebook fan page using latest introduction i.e. iFrame. Designing Facebook fan page using iFrame is having many advantages like you can use your own programming skills instead of static FBML application which has limitations of its own. As you are calling an existing page uploaded on your website to the Facebook Fan Page using iFrame, you can do as many changes you wish to d o on your website without logging on to the Facebook. Due to this advantage, a layer of security is added to your Facebook Fan Page and anybody logging in to your Facebook account cannot change your Facebook fan page. Our team of Facebook Page developers can create static and dynamic application on Facebook by using standard designing and development tools on a custom design Facebook Page via iFrame. In your marketing plan, it becomes important to establish your brand name online. In today’s world promoting your business online through social networking sites is the quickest and effective strategy available. Custom designed pages on Facebook are a great way to establish your online presence. Like FBML is similar to HTML, FBJS (Face Book Java Script) is similar to Java Script language having much functionality like mouse over effects, form submission, scrolling images etc. which Java Script can make possible but HTML cannot. In a similar way when we customize a page on Facebook through FBML, there are some interactive and dynamic functionalities which we would like to add on our customized page but are not able to due to some limitations in FBML, but FBJS makes possible for us to implement those functionalities. If you want a java script to be included in your customized page on Facebook, we add it using FBJS and thus you can enjoy mouse over effects, scrolling images etc. on your personalized facebook page which you already have on your business website. UKWebLab posses marked hands on experience on all Facebook features. We add life to your Fan Page and customise it too so that the Fan Page is engaging, interactive and user friendly but most of all it serves your desired purpose. So, let start and Customize your path to success with Facebook Fan Pages. Submerge your target audience in your brand and reach out to potential customers with a custom our designed Facebook fan page. A Facebook Fan Page is a feature which has proved to be substantial for marketers and online firms in order to communicate, interact and share with their fans.